Original vintage wall system from the late 50's / early 60's. 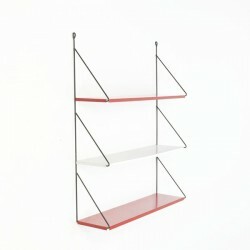 The system has 3 metal shelves in the colors white and red. Is in good condition considering the age, see the detail photos. 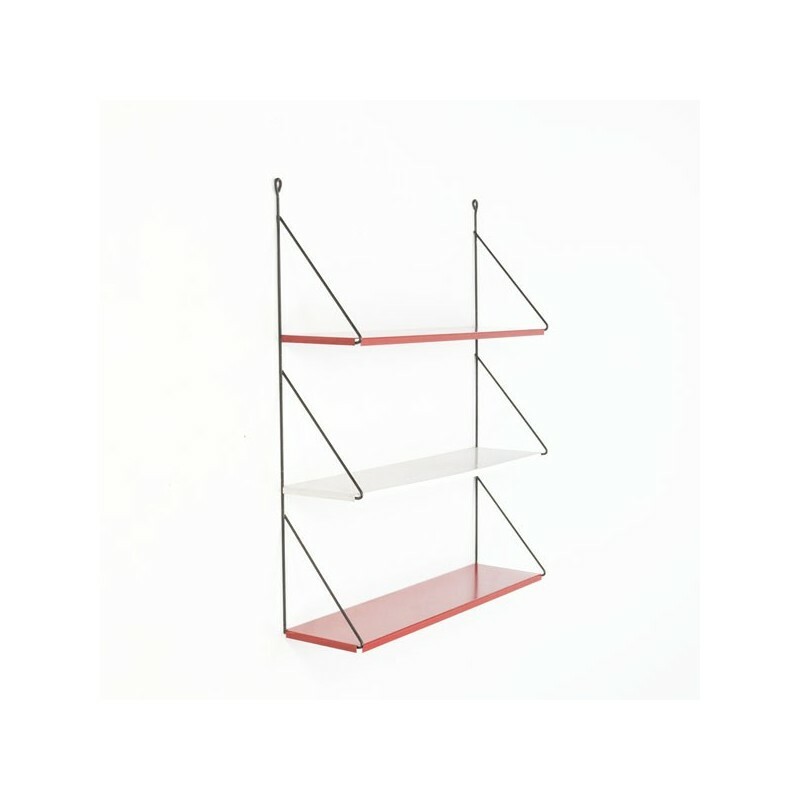 The size is 62 cm L / 17 cm W / 77 cm H.